Planning a summer getaway? Can’t decide where to go? Here are 5 reasons why the Gold Coast should be at the top of your list. When it comes to the best Australian holiday locations the Gold Coast is right up there – and it’s easy to see why. For starters, there’s the non-stop stretch of pristine coastline with the perfect mix of family-friendly bays and awesome surf breaks. For those who love nothing more than a peaceful kayaking adventure, there’s also a massive network of waterways. Jam-packed with natural beauty and abundant birdlife, it offers endless stretches of still water, just right for canoes and stand up paddle boards. If you like to mix it up a bit, it’s easy on the Gold Coast. In just 40 minutes or so you can enjoy a complete change of surroundings, from beachside bliss to the lush green hinterland. You’ll find accommodation for every taste and budget on the Gold Coast.Choose from Gold Coast holiday rentals, B&B, caravan parks and gorgeous resort apartments. When you want to spoil yourself, it doesn’t have to break the bank here. You’ll find amazing deals on luxury resort apartments online. Easy to get to and easy to get around, that’s the Gold Coast. Accessible by road, rail and air, it doesn’t matter whether or not you bring the car. Resorts like the Phoenician are within an easy walking distance of everything you need and want. With a safe patrolled beach on the doorstep, affordable eateries, entertainment and the lovely Kurrawa Park, Broadbeach is ideal for families. 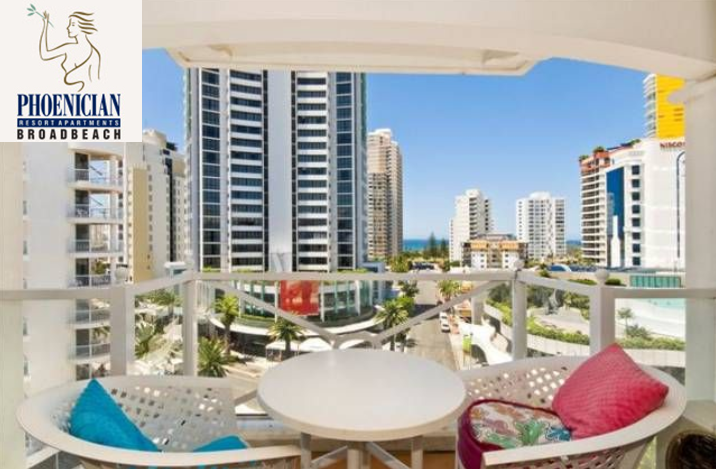 Get a great deal on a 2 bedroom Gold Coast holiday apartment and you’ll save heaps. 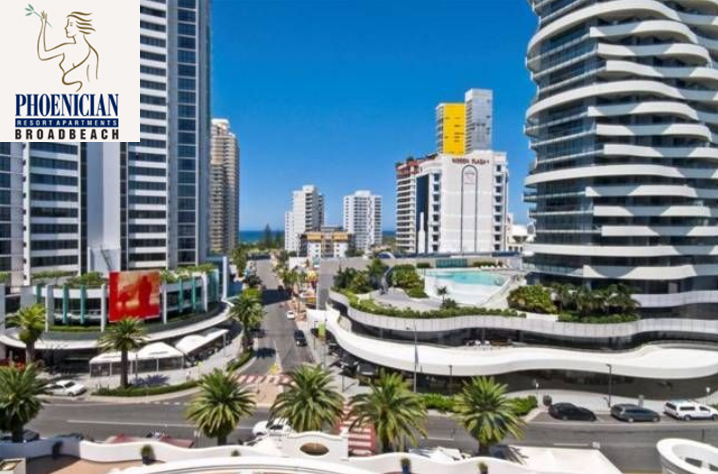 Forget Surfers Paradise – the discerning traveller prefers Broadbeach nowadays! With some of the best Gold Coast restaurants on the doorstep, beachside bars, the casino and top brand shopping, it’s a luxury you can afford. There’s no doubt about it, Gold Coast holiday rentals are your #1 choice for weekends or weeks on end.